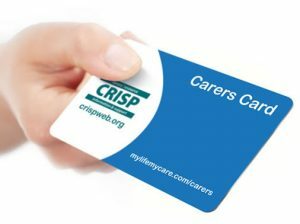 The Carers Card advertises discounts from a wide variety of businesses across Dorset and is reaching out to the unpaid carers that the scheme is representing – we would like to meet with unpaid carers to find out from them where they would like to use their card. Do you have a favourite coffee shop, hobby shop, garden centre that you visit where a discount would help you? Please accept our invitation to a Cream Tea on 27th October at 2.30 pm at St Ambrose Cottage (The Carers Centre) Alumhurst Road, Bournemouth, BH4 8ER. RSVP on 01202 764778 to Julie or Peter as space is limited – Come and talk to us. Feel free to download the leaflet and email to business contacts who maybe interested in a good marketing opportunity and a chance to contribute to becoming a part of a carer friendly community.